Sometimes basements can be confusing as to all the plumbing. There are water lines and drain lines and they all intersect each other which can make them hard to follow and sometimes even harder to fix. New plumbing originally gets installed before anything else, so at that time it’s all easy to install. Plumbers most of the time work in hard conditions and very tight spaces. Knowing exactly what to do in case of a plumbing emergency is very important. Knowing how to turn off your water in your home is very crucial when in an emergency setting. Calling a plumber when having a plumbing problem is one thing. But knowing which plumber to call is a whole different issue. Washing machine hoses need replacing every so often and old hoses will leak after some time. The worst part about plumbing leaks is that they can happen at anytime. Updating plumbing in your home is smart before a problem happens. 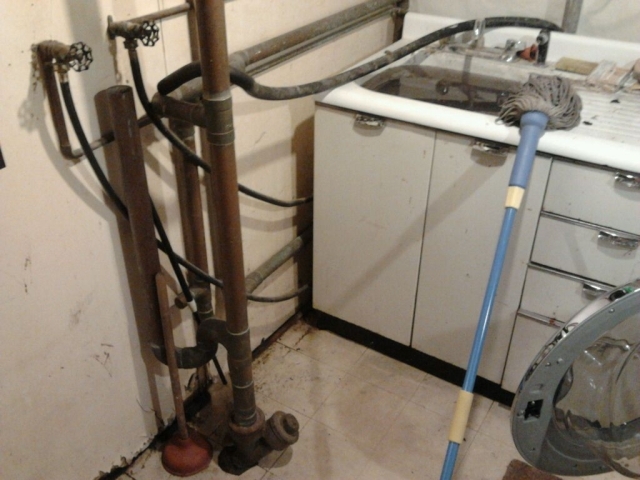 Though you can’t plan for every disaster you can replace old plumbing that you know should be replaced. Contact your local plumber to have a walk though of your house today. Ken’s Sewer Service handles all plumbing and drain cleaning projects. From 24 hour emergencies setting to unclogging a drain during regular business hours, Ken’s Sewer Service is here for you 24/7.